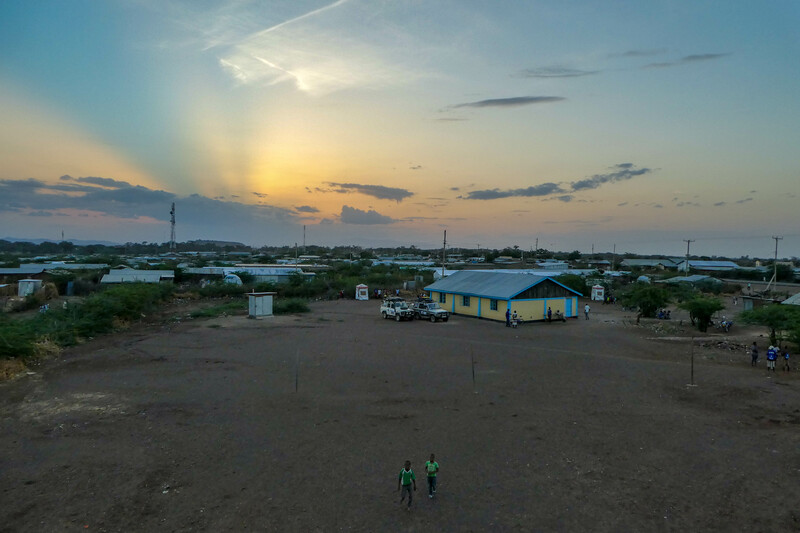 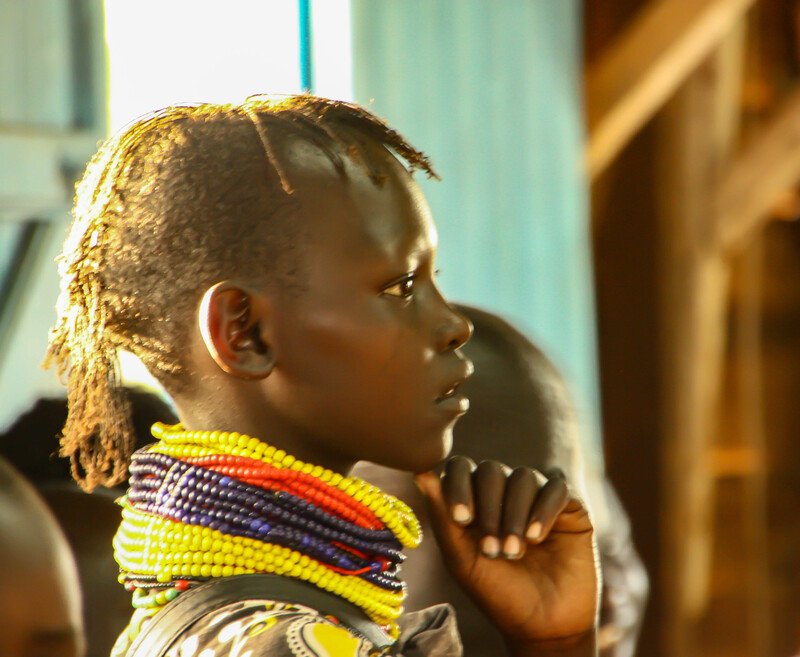 The penultimate event for Africa Goal 2018 took us to Kakuma in the very North of Kenya, near the border with South Sudan. 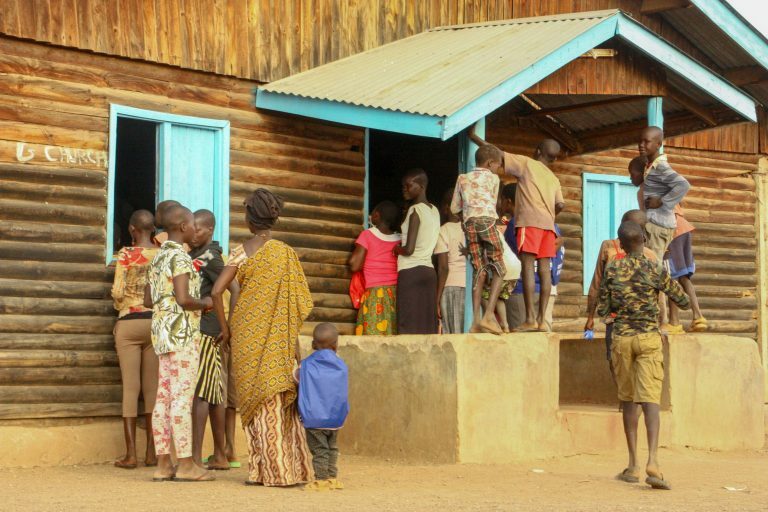 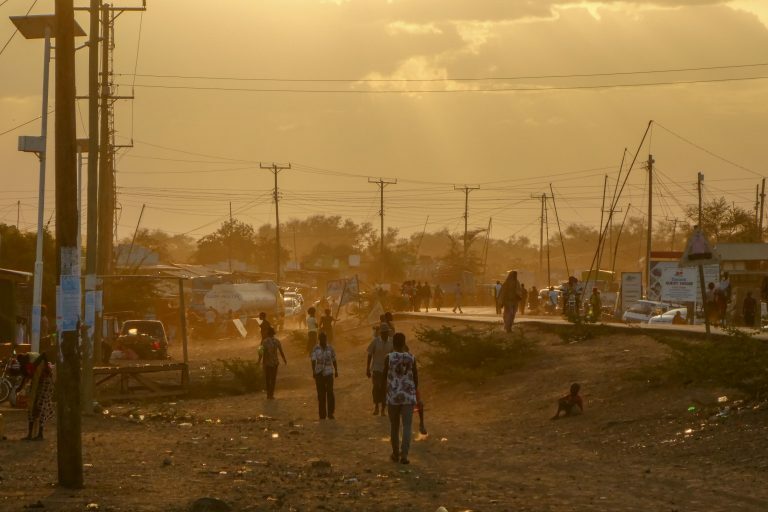 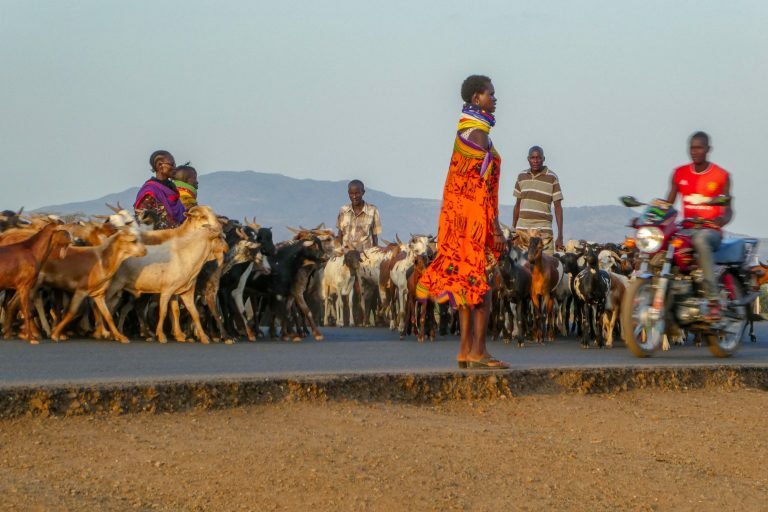 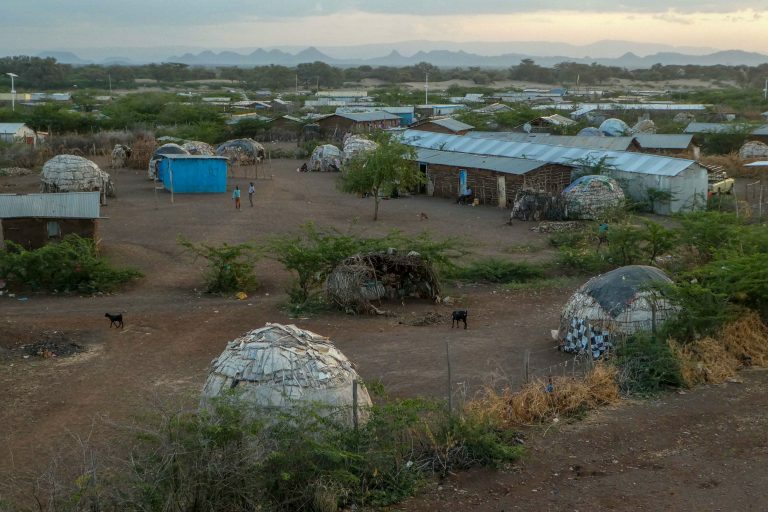 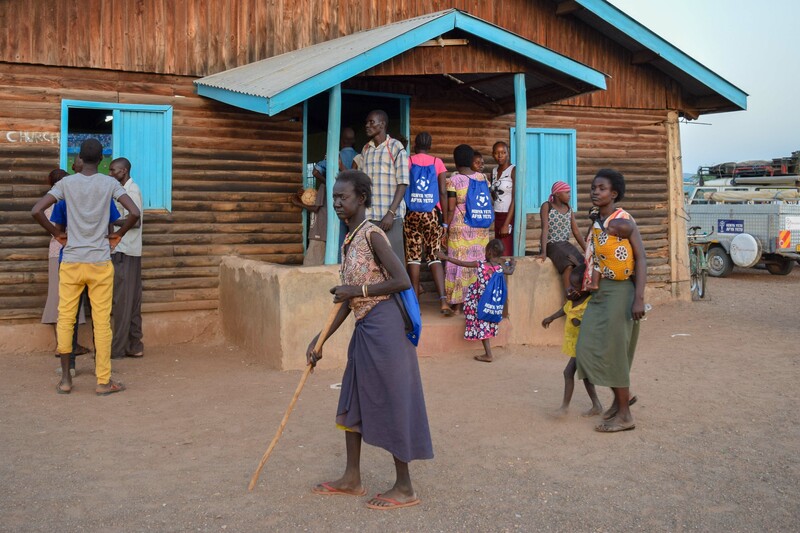 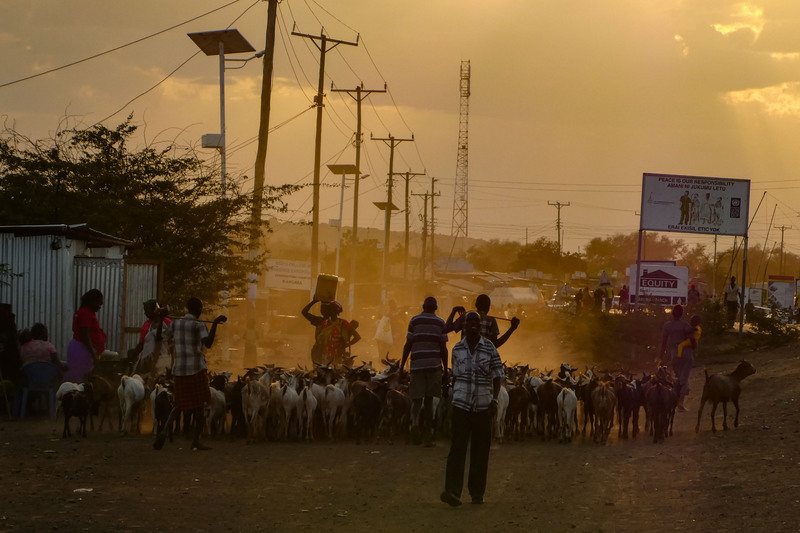 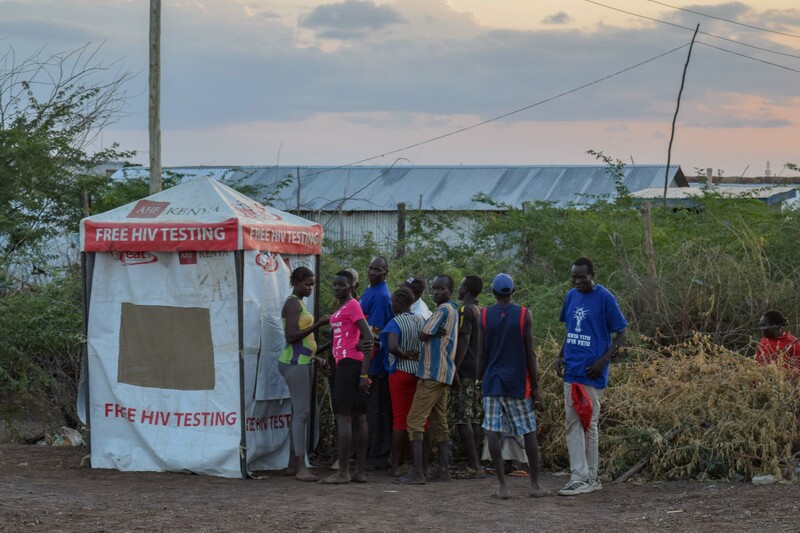 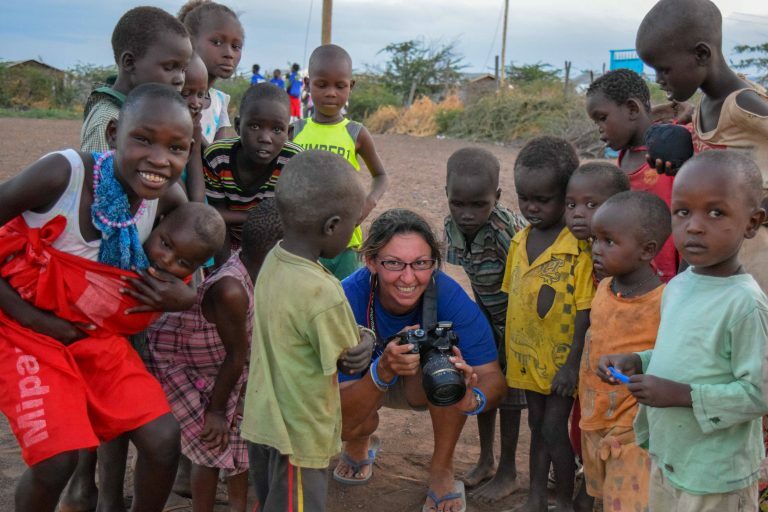 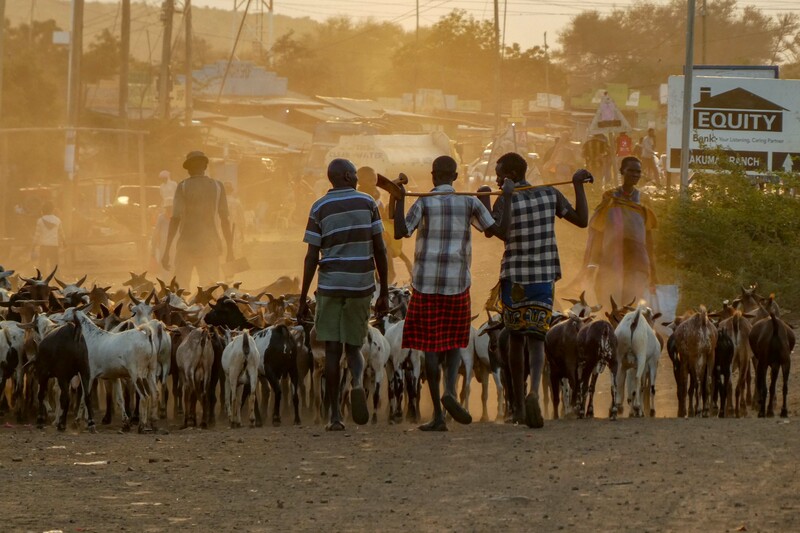 Kakuma town, including Kakuma refugee camp and Kalobeyei Integrated Settlement, has a population of over 185,000 registered refugees – the majority of which left South Sudan during the protracted conflict there. 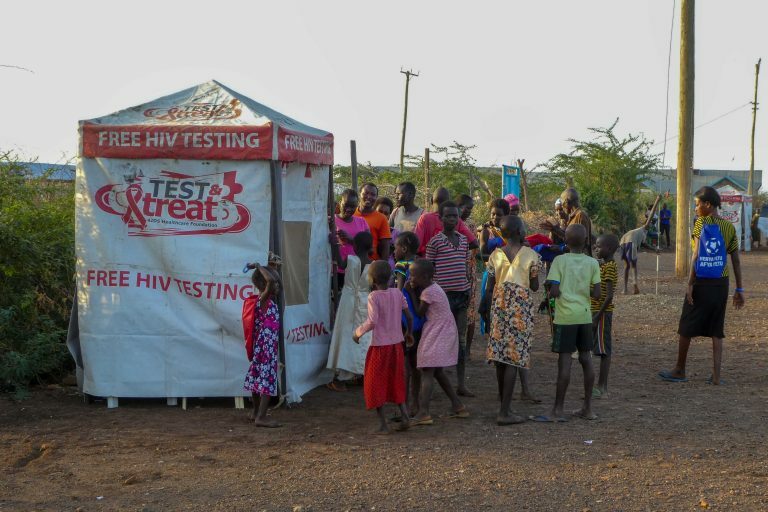 In discussion with our partners, it was decided that the event should be held in the host community, rather than within the camp itself. 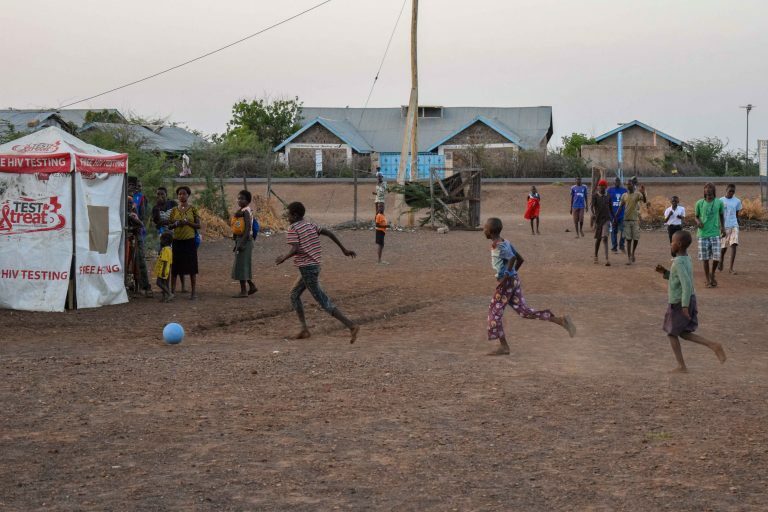 There are many organisations operating on a routine basis in, and targeting, the refugee camp. 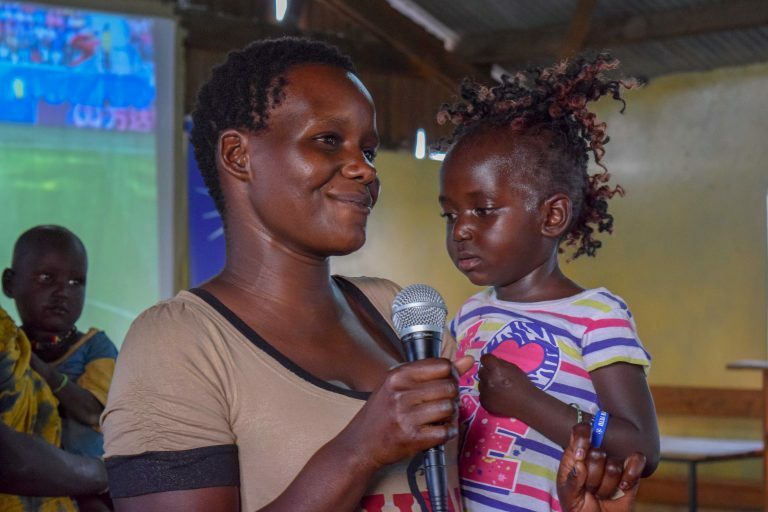 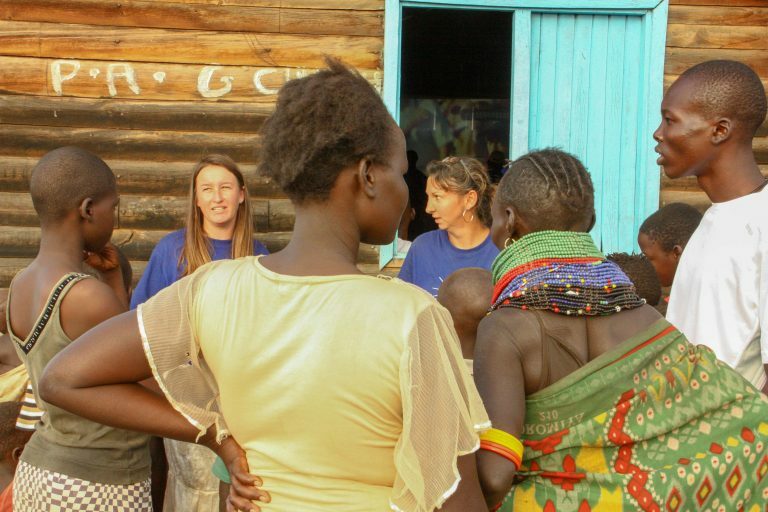 Whilst in reality there is a lot of crossover of community members between the camp and host community, the host community is sometimes overlooked in terms of a location for events and service provision. 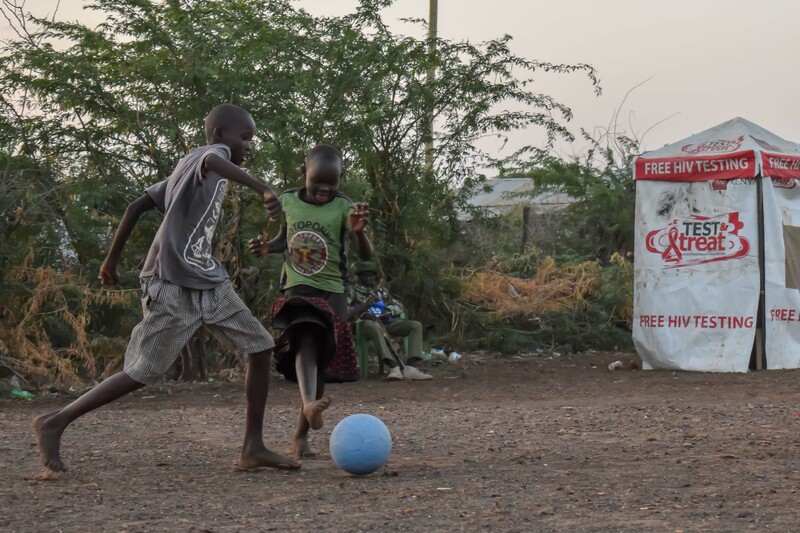 The third place play-off between England and Belgium was at 5pm local time. 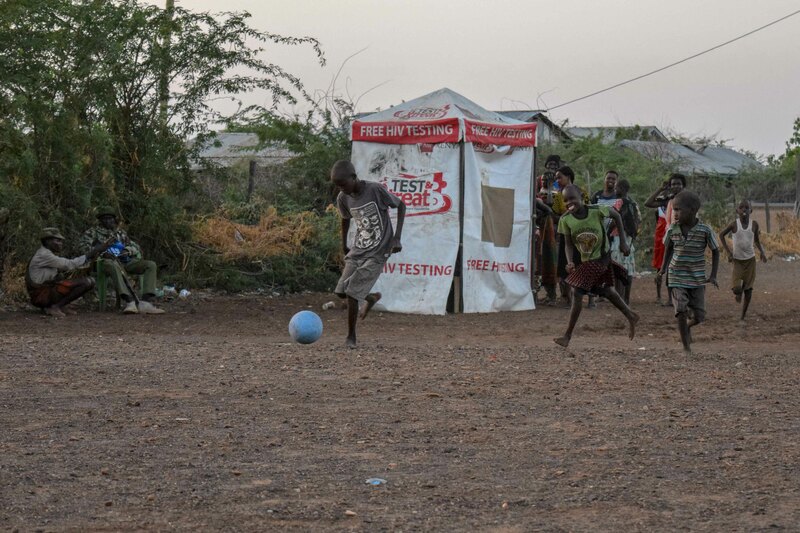 With the sun still high in the sky at that time, we had to find our only indoor venue of the 2018 campaign. 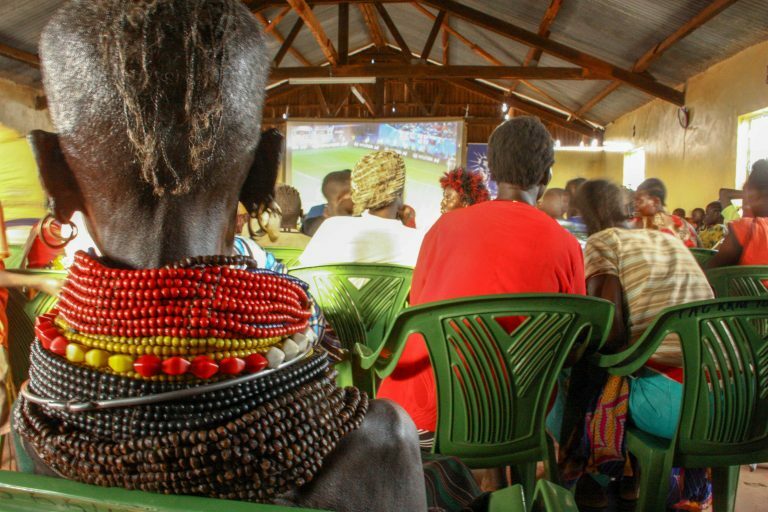 Our partner organisation identified a church within Kakuma host community where we could show the match. 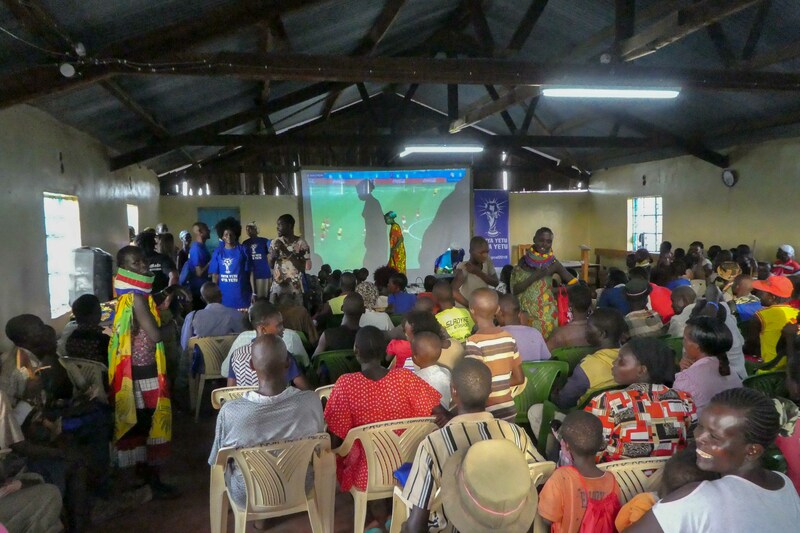 Diasappointingly, particularly given the community nature of a church, this was the only venue in the history of Africa Goal which has charged us to hold an event. 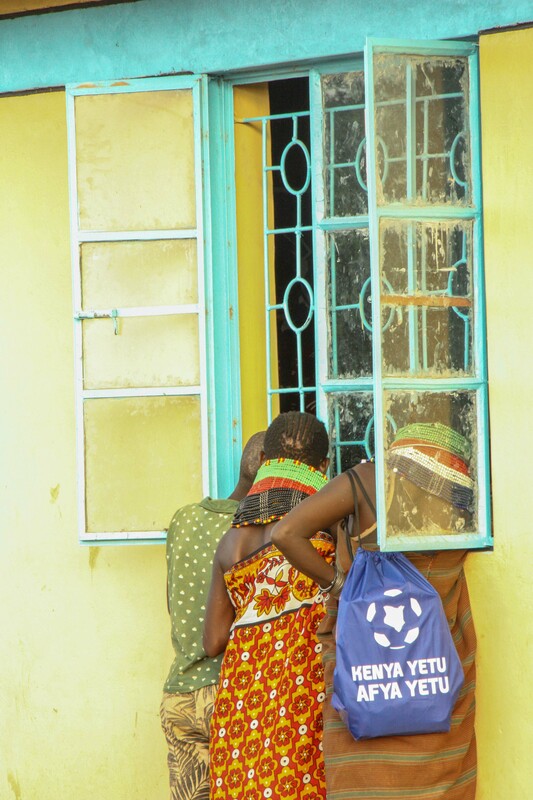 However, we were left without enough time to identify another indoor location before the match started. Despite this, we had a great event with a very mixed audience which well represented the mixed population of the community. 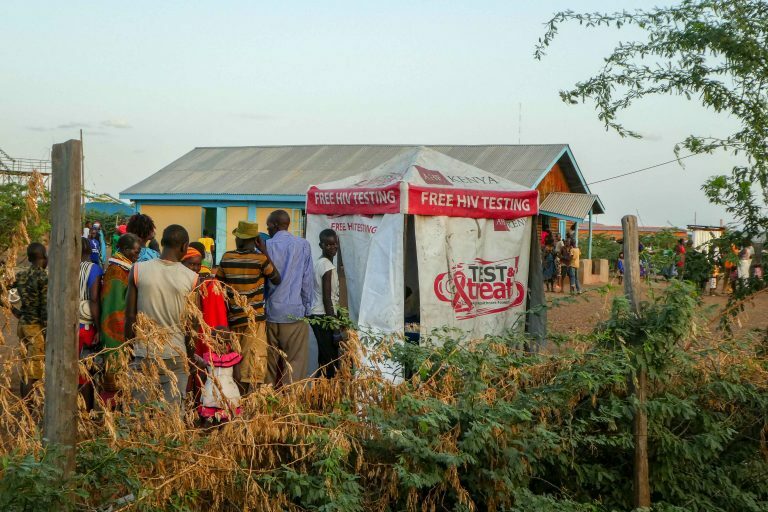 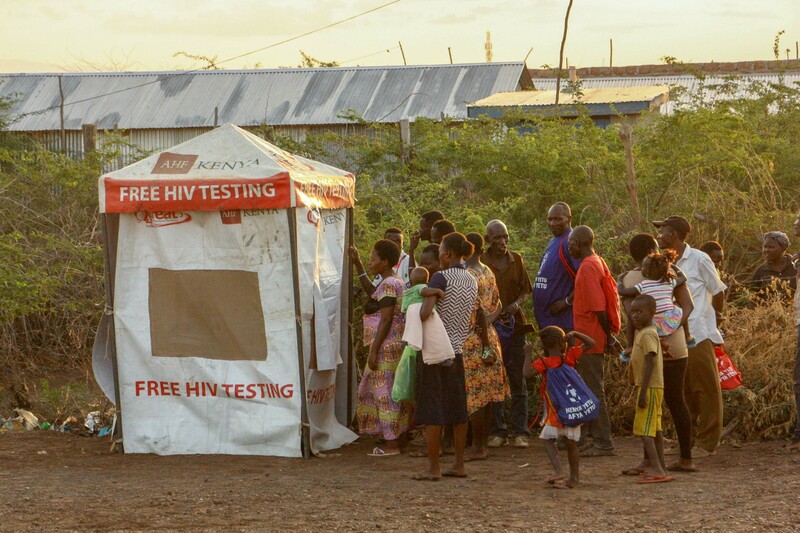 While the space in the church was limited, it was in a big outdoor space, which meant that we had a lot of people milling around, receiving HIV testing services and peering through the windows and doors of the packed out church, and a high turnout overall. 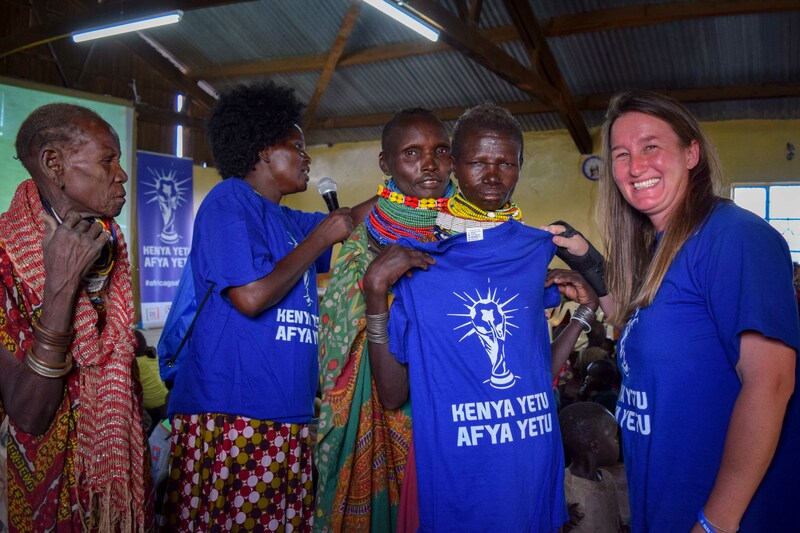 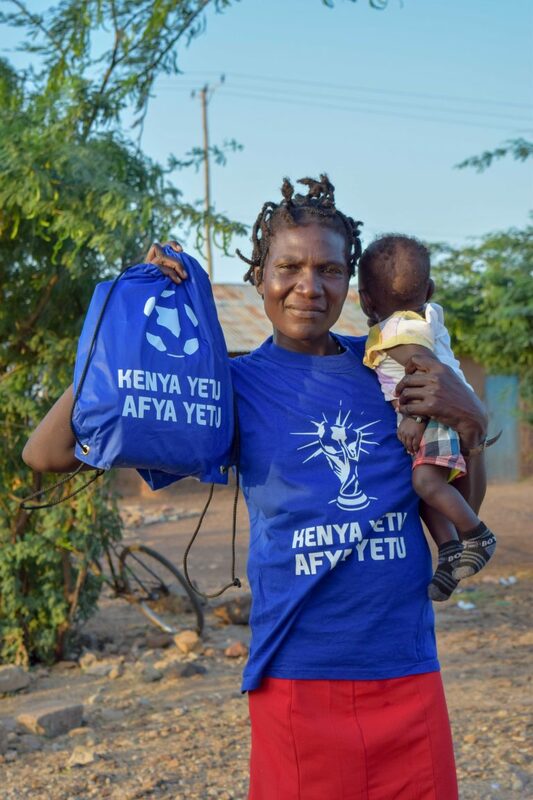 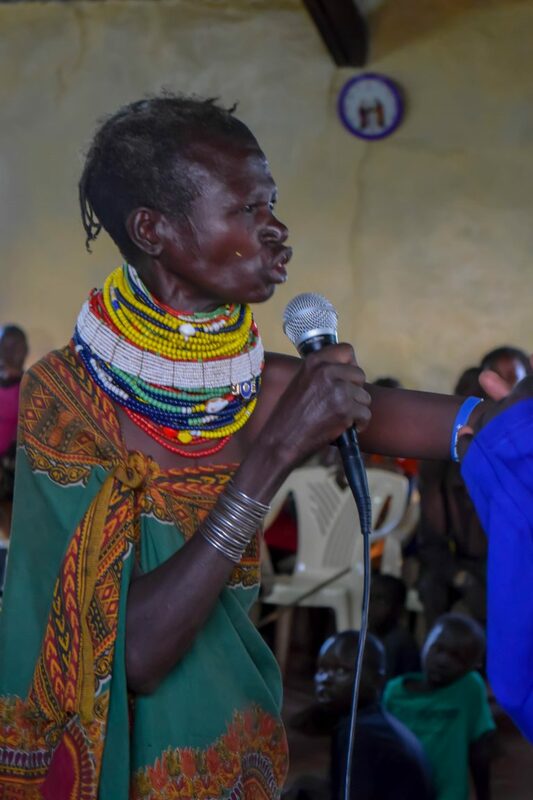 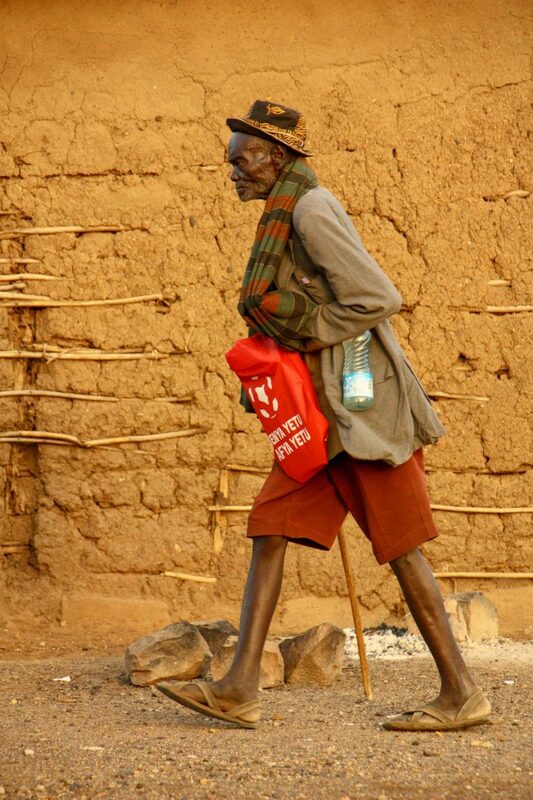 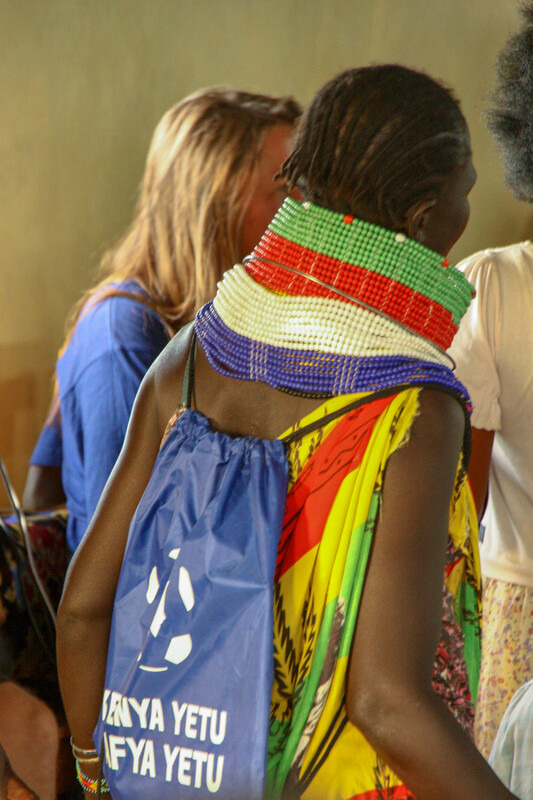 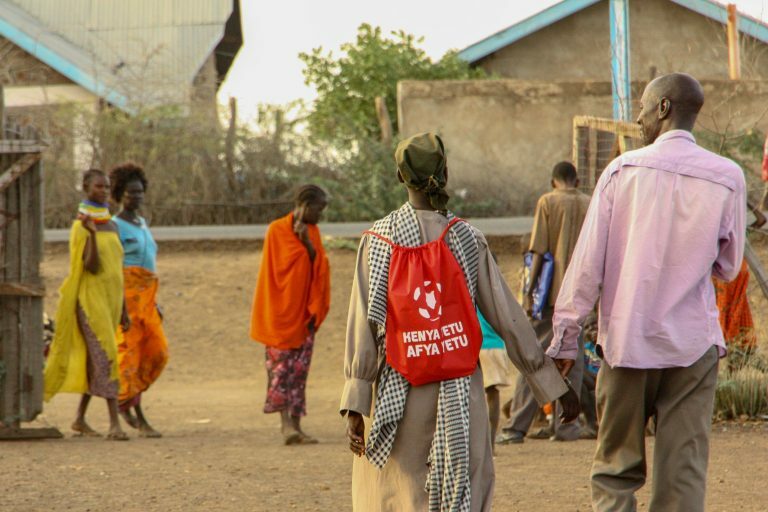 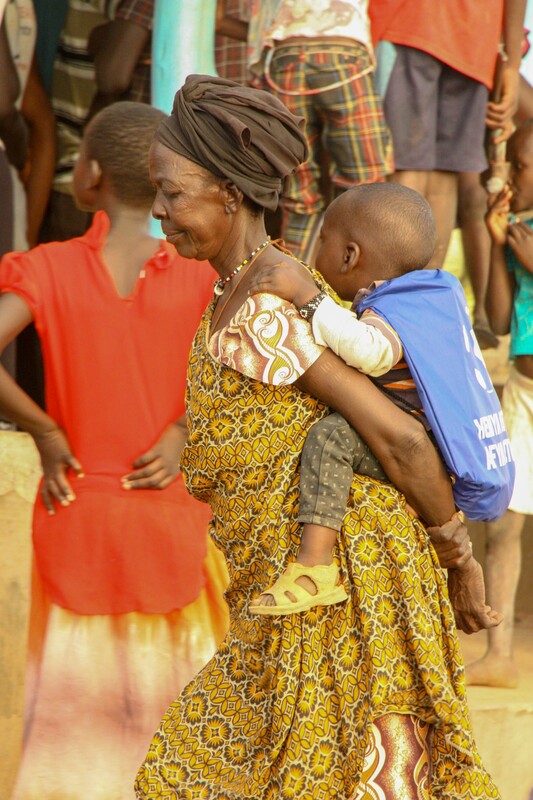 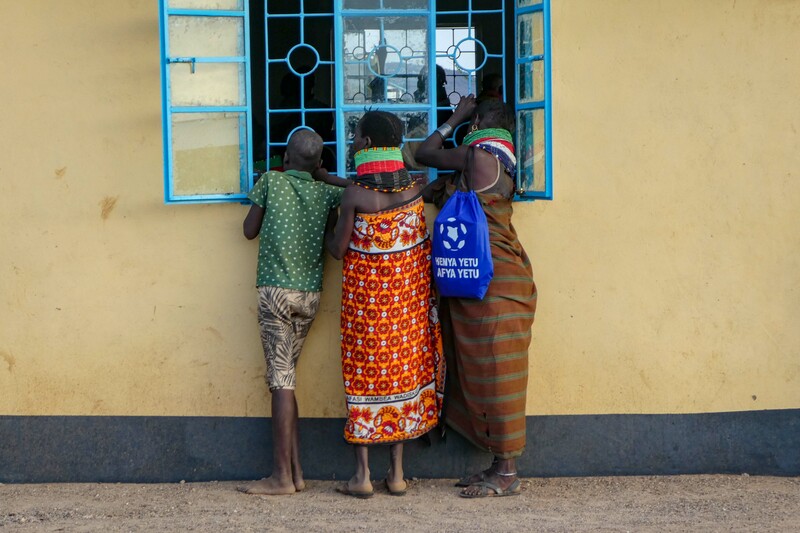 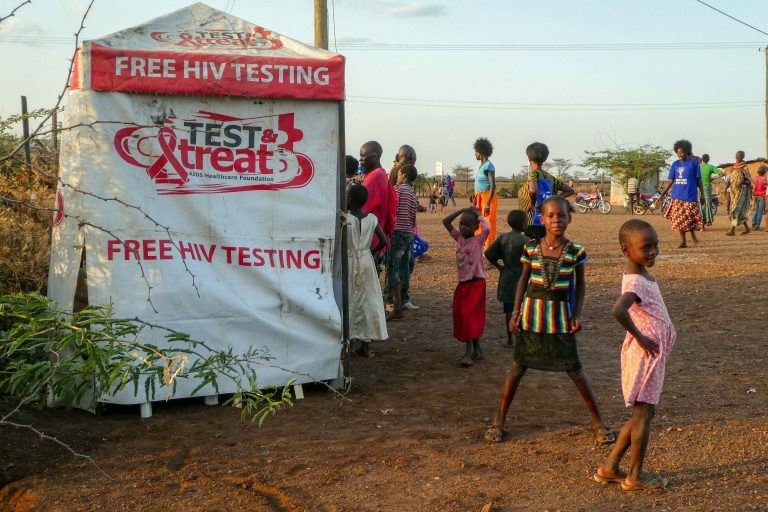 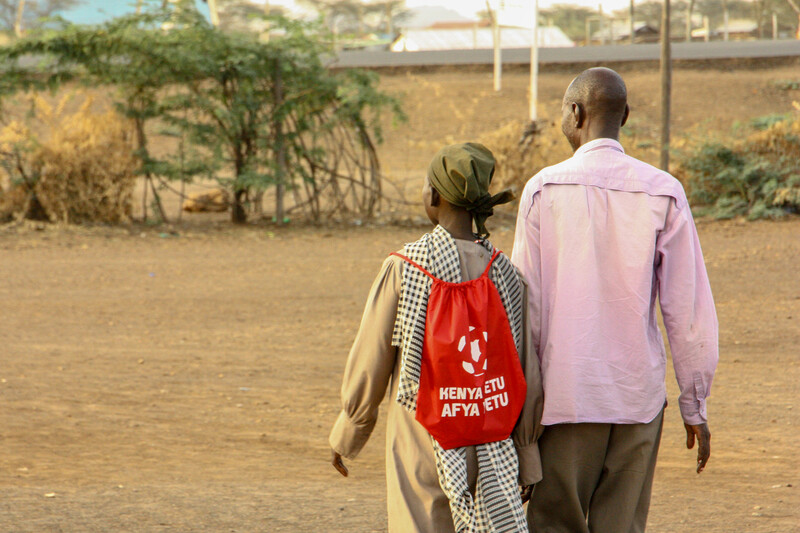 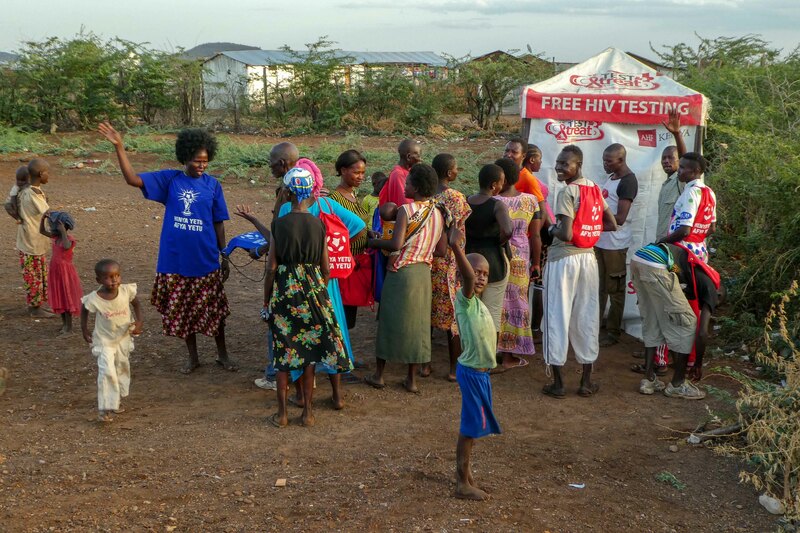 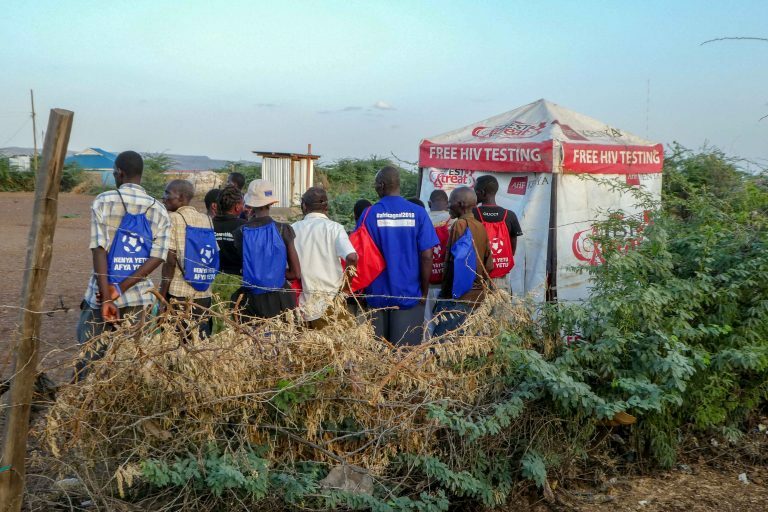 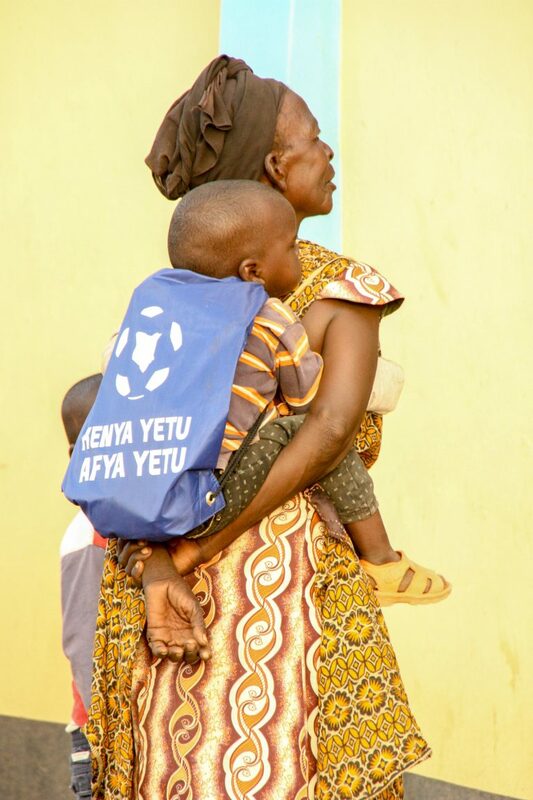 With lots of Turkana women with their beaded necklaces, the audience was striking, especially when carrying the super popular Africa Goal bags with the HIV information, education and communication materials and those who participated in the HIV quiz and won T-shirts. A major plus of having such an early event was that it enabled us to continue testing after the match finished. With testing going for an additional hour, children played football with a traded OneWorldFutbol “unpoppable” ball and the team chatted to the remaining community members, making this an unforgettable 3rd place play off.